Sea salts: flavor AND fun! 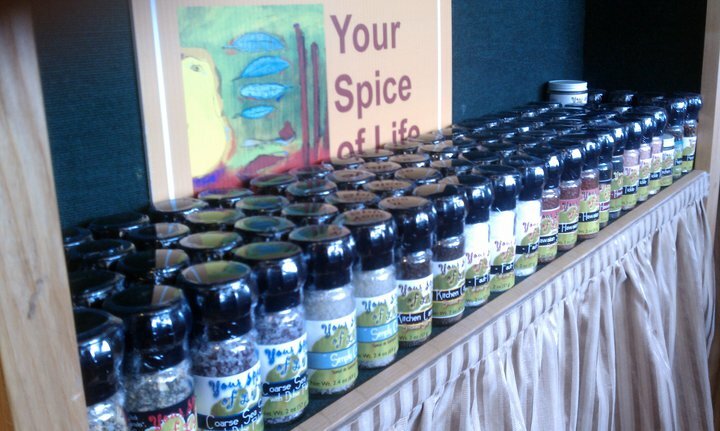 Mini salt collection all lined up for action! Do you know your Sea Salts? Sea salt has become commonplace over the last few years. Maybe you’ve even switched over to it yourself. But for many people, it’s a little mysterious, especially when confronted with the hundreds of different kinds. Do you really know what it is, where it comes from, and what makes it so different from traditional table salt? If you are like most people, the answer is NO. Get to know my sea salts! “Fault-Free” (California White) All natural, solar evaporated, it is gathered from the Pacific Ocean off the coast of California. “Hawaiian Nights” (Hawaiian Black Lava) Hawaiian ocean water is drawn into complex array of filters and will go through a reverse osmosis process. From here the water is evaporated through a sophisticated solar evaporation method leaving behind the finished salt product which is hand collected and further infused or “bathed” in activated Coconut shell charcoal. “Hawaiian Sunset” (Hawaiian Red Alaea) Unlike most salt which is mined, Red Alaea is sea salt that is created through natural evaporation when it is trapped in tidal pools and mixes with red volcanic clay. The red color itself comes from the extremely high amount of iron in the clay. “Tickle Me Pink” (Himalayan Pink) Himalayan Pink Salt is one of the purest salts found on earth, having been protected by hardened lava within the Himalayan salt beds for hundreds of millions of years. The many hues of pink, red and white are an indication of this salt’s rich and varying mineral and iron content. “Kitchen Campfire” (Smoked Sea Salt) 100% natural, solar evaporated, gathered from the Pacific Ocean off the coast of California. From there it is slow roasted above Red Alder wood for a rich and distinctive flavor. “Simply Celtic” (Tamise de Guerande Grey) Hand-harvested using centuries old Celtic methods. Sel Gris comes from the clay lining the salt ponds. Guerande is a French town on the West coast of France, on the Celtic Sea.